If you are the lucky ones who have tried these old or new Samsung Gear VR, both in versions for the Galaxy Note 4/Note 5 to the recent Galaxy S6/S6 Edge/S6 Edge+ (or the same Oculus Rift), sure you’ve fallen in love with the virtual reality with its endless possibilities. They open when live experiences, enjoy the games from completely new perspectives and, of course, when it comes to watching 3D movies in the famous film that comes standard with the glasses. You can adjust the distance according to your eyes. This helps your eyes to focus and makes the images more clear. If you’re looking for an easy way to view 3D Blu-ray movies on Samsung Gear VR, you’ve come the right place. Read on for details. Samsung Gear VR by default supports most common file formats including MKV, MP4, AVI, and FLV. When it comes to playing 3D videos, Samsung Gear VR requires either side-by-side or top-to-bottom (top down), but most Blu-rays are in the “frame packed” format. So the workaround is to download a 3D Blu-ray ripping program that can convert a frame packed Blu-ray to a SBS or TD. There are some 3D Blu-ray ripping softwares out there that allow us to finish the task. The best one I can recommended for ripping 3D Blu-ray to Gear VR is Brorsoft Blu-ray Ripper (available for Windows and Mac users, read the review). 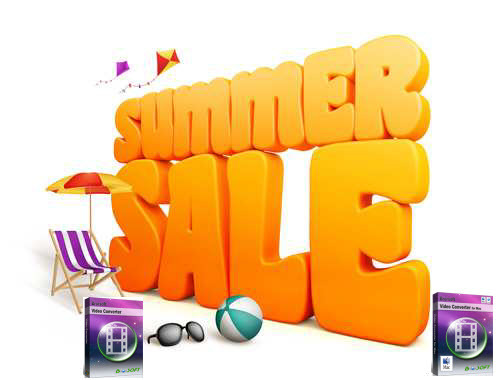 The program is easy to use and can help you fast rip 3D Blu-ray to MP4, MKV, AVI, WMV, MOV, etc HD media formats while keeping the excellent output quality. Best of all, this software allows you to fast convert 3D Blu-ray movies to 3D videos such as MP4 Top-bottom 3D Video, MP4 Side-by-Side 3D video, MKV Top-bottom 3D Video, which can be played on Gear VR perfectly. The process is straightforward. After downloding, follow the wizard to install and run the program. Then follow the steps below to rip 3D Blu-ray movies to SBS MP4 or MKV files for Samsung Gear VR. 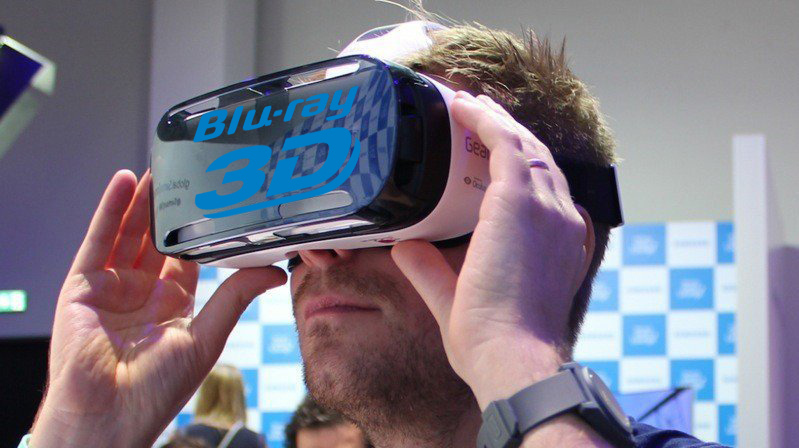 Step 1: Launch the best 3D Blu-ray to Gear VR converter. Click the disc button to add 3D Blu-ray movie to it. After the BD files are loaded, you can preview them on the right viewing window and take snapshots of your favorite movie scene if you want. 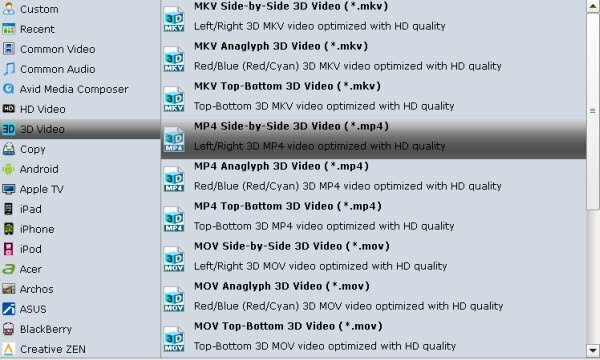 Step 2: Click “Format” bar and find “3D Video”, there are a lot of format options for you. “MP4 Side-by-Side 3D Video (*.mp4)” is recommended for Samsung Gear VR. Step 3: Click “Settings” button to do corresponding settings regarding to video, audio. Note that Gear VR compatible audio has to be encoded in AAC or MP3. AC3 audio and DTS Dolby don’t seem to work. Plus, in this Profile Settings window, you can also select 3D Anaglyph and 3D Depth. Step 4: After you have done all the settings, return to the main interface to hit Convert button to start 3D Blu-ray to Gear V4 converting process. When the conversion is finished, click Open button to get the output 3D videos. On your MicroSD card file directory, navigate to Oculus > Movies > Your Movies; Create a new folder within “Your Movies” and label it “3D”; Import or move your SBS 3D videos into your newly created “3D” folder. Once you have created your 3D content folder and imported compatible video files, insert your MicroSD card into your Galaxy Note 4 /Note 5 to the recent Galaxy S6/S6 Edge/S6 Edge+ (if it isn’t already), slide the phone in your Gear VR, and put the virtual reality headset on your head. Navigate to Oculus Cinema from the main menu. Navigate to “My Videos” from the Oculus Cinema content library menu. Select the 3D video you wish to view (if you followed the above steps it should have a “3D” label in the upper righthand corner). Choose the cinema mode to begin playback.